In this sponsored post, Genesys explores how to bridge the divide between contact center agents and business users. As we approach the end of the year 2017, we'd be hard pressed to find anybody in the communications industry who would argue that cloud communications hasn't arrived in full force. As enterprises have become more comfortable with the cloud delivery model in general, their willingness -- if not enthusiasm -- to migrate from legacy infrastructure to cloud-based communications and collaboration services has followed suit. 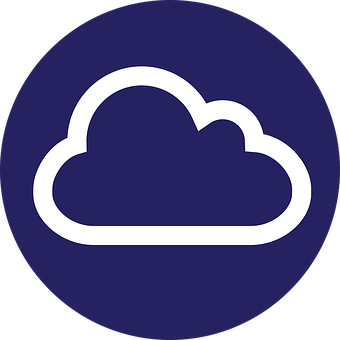 Cloud communications eases the ability to enable conversation, collaboration, and engagement among employees and between employees and customers. As such, enterprises of all sizes increasingly recognize the viability and value of using cloud-hosted communications services to support digital business requirements. No Jitter Research survey results bear this out. In its year-over-year analysis of enterprise IT attitudes toward and use of cloud communications, No Jitter has found continued strong growth in cloud-based unified communications (UC) and PBX/call control services, as well as steady interest in cloud contact center-as-a-service (CCaaS). For example, 36% of this year's enterprise IT respondents use cloud UC applications, with 22% of non-users planning to move UC to the cloud in the next 12 months. On the contact center side, 22% of respondents said they already have cloud contact center seats, and another 16% said they'd be using CCaaS within the next year. Overall, nearly 60% of the 205 enterprise IT respondents use one form of cloud communications or another. And, of those organizations that have jumped in with cloud communications, more than half (55%) have done so on both sides of the house, so to speak -- UCaaS for employees and CCaaS for customer service agents. Embracing cloud communications services for both employee and contact center agent use place enterprises in a better to reap full cloud benefits than their industry peers that have only transitioned one of these user groups. And enterprises have even more to gain when they bring both sets of users together via a unified platform that supports the breadth of contact center, communications, and collaboration capabilities. With a unified platform, enterprises can enable the smooth flow of conversation between contact center agents and subject matter experts on the business side. This helps create an ultra-responsive customer service organization that can quickly address customer inquiries and reduce time to problem resolution by being able to solicit input from business experts as needed. Such customer engagement improvements in turn lead to exceptional experiences and greater customer satisfaction and loyalty. IT, too, benefits when using a unified cloud platform, especially when built on a microservices architecture. For one, such a platform allows the ability to scale efficiently, an important factor according to No Jitter data. And two, a microservices-based unified cloud platform provides the ability to add new features and functionality quickly across disparate user environments -- contact center or enterprise -- and to streamline support across communications and collaboration channels. This latter point is particularly important for enterprises undergoing digital transformations with their contact center operations. Keeping pace with customer preferences means supporting not one or two but a host of digital capabilities -- voice, video, chat, email, text, SMS, social media, and so on -- and always being at the ready to add a new one as the need arises. Smart companies not only understand the importance of allowing customers to get in touch via whichever channel suits them, but also recognize the need to enable a seamless experience as the interaction moves from one channel to the next. In this Genesys-sponsored No Jitter Industry Insights Report, "Voice as the New Digital Channel: Achieving Holistic Engagement Across the Business," discover how digital voice, a la WebRTC, is an essential component of a modern cloud communications environment. Download the report now, and discover how to facilitate real-time conversations between contact center agents and the business and deliver that sought-after seamless customer experience.